If you ever whine about the cold temperature in this January, imagine living in the driest places on earth, or Oymyakon. 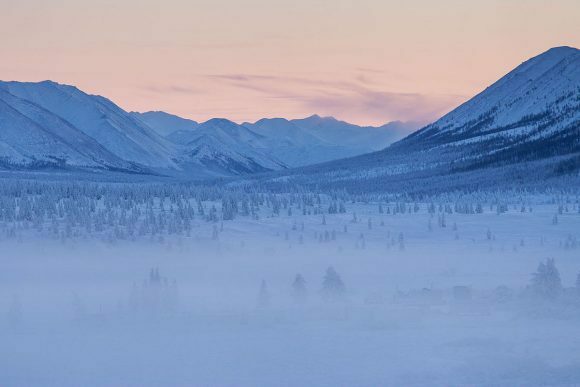 Oymyakon is the coldest inhabited area in the world where the average temperature of the town in January is below freezing temperature. 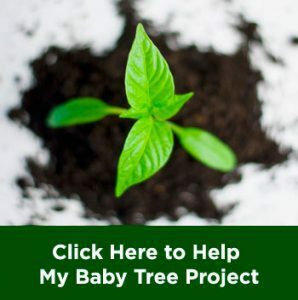 If you think it doesn’t bring enough chill to you, this freezing condition usually lasts all year round, making the ground being permanently frozen or in permafrost condition. Being in more than 0 degree Celsius is a rare occurrence in the town that only happen in its short and wet summertime. This condition is mostly affected by the geographical location of Oymyakon. Not only being located close to the Arctic circle, about 800 kilometers from it, the town is also located in high area which is 750 meters above sea level. Many times, data recorded lowest temperature in Oymyakon, the first one was in February 6 1933 when the temperature was -67 degrees Celsius. But apparently, that wasn’t the lowest temperature ever recorded for the town. The coldest one ever recorded was way colder, about 71 below 0 degree Celsius. It means that not only being the coldest inhabited area in the world, but also there is only one place on earth that could compete with the extreme temperature, Antarctica. Recorded by Vostok Station in 21 July 1983, the temperature in Antarctica officially reached -89 degrees Celsius. The temperature in winter, especially in December to February, remains below -50 degrees Celsius. Constantly, the temperature in January stays under -60 degrees Celsius, making even warm water being splashed into the air freezes immediately. But as time approaches summertime, the temperature gets better. Data recorded that the average minimum temperature in June and July is “only” -10 degrees Celsius. This warmer condition is hugely affected by extended daytime that last for 21 hours a day. It’s been mentioned that summertime in Oymyakon brings a 21 hours daytime, and it affects the temperature of the area randomly. Sometimes it makes the day as warm as tropical areas, up to 30 degrees Celsius but sometimes the temperature also stays in one digit. And warmer days are not rare, even the highest temperature ever recorded was 34.6 degrees Celsius in July 28 2010. Imagine how far it is from the coldest recorded temperature which was only -67.7 degrees Celsius. Thus, it makes Oymyakon not only being the coldest inhabited area in the world, but also the only place in the world, along with Yakutsk, where the temperature range is higher than 100 degrees Celsius. Precisely, data recorded the temperature ranges up to 102.3 degrees Celsius. Summertime in the town is wet because this is the only time when substantial evaporation happens in the area. For the rest of the year, the climate is usually dry because the water vapor is frozen due to the cold temperature. 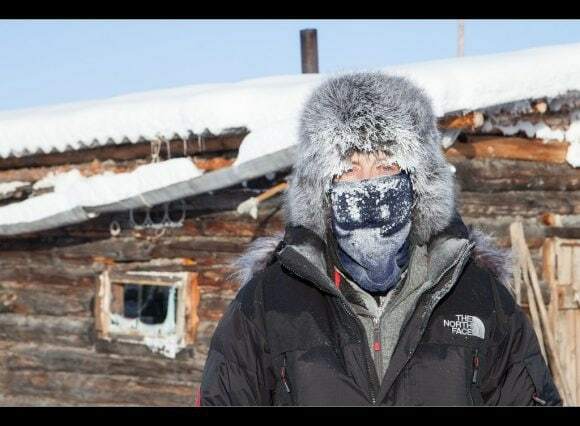 Albeit the extreme condition, people inhabit the town, there are about 500 people are living in Oymyakon. The history of why people are willingly living in the town can be tracked back to 1920s to 1930s. Basically, Oymyakon was a place where reindeer herders took seasonal stop, so the first ever people to step foot on the town were not innate people. But soviet government decided to settle those nomadic people by making the town permanent settlement. Since then, people started to build permanent housing and other fundamental infrastructures in Oymyakon. And the most important infrastructure in the town is actually gas station that’s operating 24/7 non-stop. 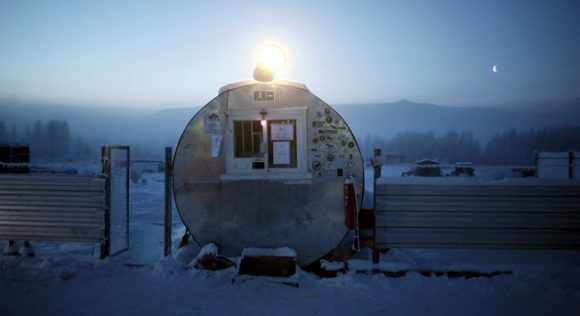 Gasoline plays important role in Oymyakon people’s lives to ensure the economy keeps on running in the extremely cold area. The gas station is important for keeping vehicles full-tanked because gasoline and machines can freeze solid if vehicles are not left running, which may hamper any economic activity. Not only for vehicles, fossil fuels are also the main source of heat for the people to warm their bodies up. To live in such extremely cold place, Oymyakon makes use of a heating plant that provide warmth to the people 24/7 fueled by coals. How They Manage Such Condition? Yakutsk is the nearest city to Oymyakon, and the condition in Yakutsk is almost similar. But people in Yakutsk live in prosperity and even the city is described as a cosmopolitan city. this is because Yakutsk have plentiful resources like gas, oil, and diamond. But people in Oymyakon live in less prosper condition, because the city lacks of natural resources. 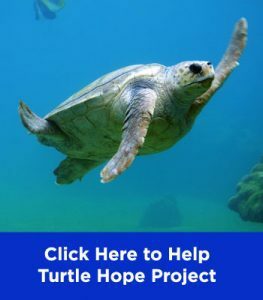 They rely on animal husbandry and municipal work for living, such as working in local heating plants. There is only one shop to provide supplies to the people and there is no plumbing system in the town because water will freeze in the pipes. Thus, local people use outhouses for bathrooms, and going to the bathroom itself is a torturing task. Because of the permafrost condition of the ground, it is also impossible for people to grow plants in the area. 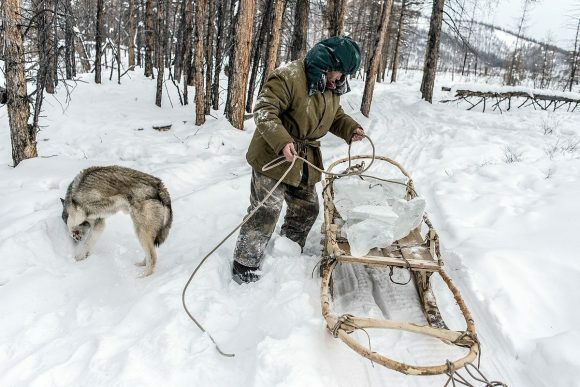 That’s why the main source of energy in Oymyakon comes from meat, such as reindeer, fish, and horse meat. The local specialty is stroganina, literally raw frozen fish being long-sliced. 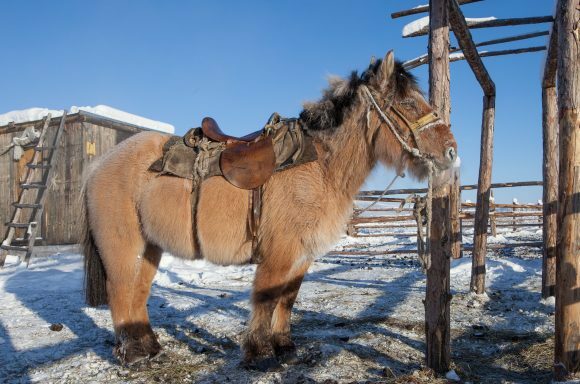 Although living from limited source of nutrients, people in Oymyakon never suffer from malnutrition. The reason is because animals’ milk that the people also consume can provide them a lot of micronutrients needed by their bodies. Those who live in the town for years maybe have adapted well to the condition, but new people may find it hard to adapt both to the extreme cold and the local people. Amos Chapple, New Zealand adventurer and photographer made an expedition to the town and collected some information about the coldest inhabited area in the world. He spent five weeks in total in the region and documented the life of local people. At first, he expected local people to be excited to meet new people, but in fact the people he met were as cold as the temperature. “The only people outside were either dashing between houses with their mitts clasped to their faces, or were drunk and looking for trouble,” Chapple told Business Insider. Not only hard in saying “hello”, but local people in Oymyakon apparently are also having hard times in saying “goodbye”. Burying the dead is a difficult task there because the ground is frozen solid. Before digging the ground, a large fire must be lit on the surface to make the ground softer for the burial.